Cardinal Richelieu died in 1642 AD and Louis XIII died the next year, in 1643. Louis’ wife, Anne of Austria, ruled after him as regent for her four year old son, Louis XIV. Anne was in good company: in the 1640s women also ruled China, Iran, and the Ottoman Empire. Anne formed a partnership with the Catholic cardinal Mazarin, who had gone to Jesuit schools. 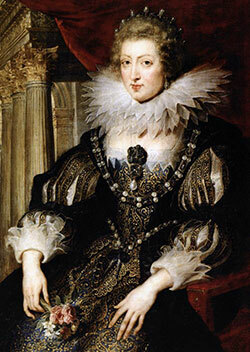 In 1648, when Louis was seven years old, a big riot led by the rich lords in Paris frightened Anne and Louis. They wanted to get power for themselves, like Oliver Cromwell and his allies in England at the same time. When Louis was twelve, rioters even came into his bedroom when he was in bed. Anne succeeded in keeping control of the government, but she and Louis both came out of this riot determined to get power away from the feudal lords and into their own hands. Louis didn’t want to be killed like King Charles of England. Anne and Mazarin, like other rulers of their time in Russia, China, and West Asia, worked hard to build a strong government that would be able to rule all of France as one united country. But Anne and Mazarin also kept forcing enslaved Africans to make sugar in the Caribbean, and they kept trying to get more power in India and Canada and along the Mississippi River. Anne and Mazarin ruled well together for almost twenty years. 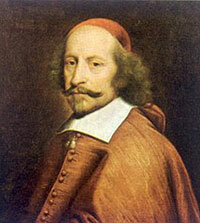 Mazarin died when he and Anne were both 59 years old, in 1661. By this time Louis was 23 years old. Anne chose to retire at this point, and Louis took over ruling France. Cite this page: Carr, K.E. Anne of Austria, Queen of France. Quatr.us Study Guides, August 4, 2017. Web. April 22, 2019.